Is your lease return date fast approaching? No problem. DCH Honda of Temecula offers multiple lease return options and we gladly accept all vehicle makes and models. Your Car Partner can assist with the details. Depending upon your wants, driving needs and budget, you may decide to keep your current vehicle or drive-away in a new vehicle today. Since Honda of Temecula is centrally located, it's likely we're the most convenient place to return your vehicle - regardless of where you leased it. You don't have to wait until your lease-return date either. Your lease ends as soon as you return your vehicle to us. * Your Car Partner can help you decide which of the following options works best for you. Possibly the easiest option, simply trade-in your current lease vehicle and drive-away in a new one today! Just schedule a vehicle inspection at least two-months prior to lease-end. Now that your current lease agreement is coming to an end, you may be wondering, "What's next?" You love your car and really would like to keep it. First, you can be assured Honda of Temecula "Car Partners" are dedicated to assisting you no matter what you eventually decide to do regarding your vehicle and lease. It's possible your needs have changed and you may have many more upgrade options than you realize. We can help. Schedule a free vehicle inspection to occur within the final two months of your lease agreement. Since this is required, make that appointment today and check-it-off your "to-do" list. This is key: when deciding to purchase your current lease vehicle or lease another, consider how long you plan to keep the vehicle. Here's a good rule of thumb: if you typically keep a vehicle between five and ten years, upgrading by purchasing your vehicle may be the preferred option. 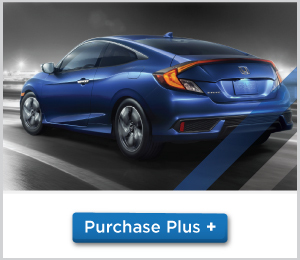 Let Honda Financial Services experts and Honda of Temecula Car Partners explain all the necessary information regarding competitive rates and terms enabling you to make a decision you can confidently and comfortably live with. Ask your Car Partner about our Excessive Wear and Use Waiver. 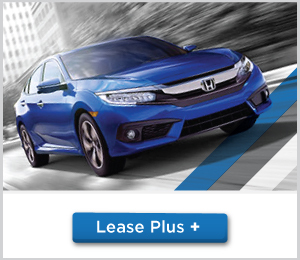 When returning your lease vehicle, you may qualify for additional savings. You will need to schedule a free vehicle inspection within the final two months of your current lease. *All end-of-lease return term obligations as specified in your lease agreement still apply.